The Life of LeeshaStarr: Got my foundation! I am so so excited. I got my foundation today from Boots. 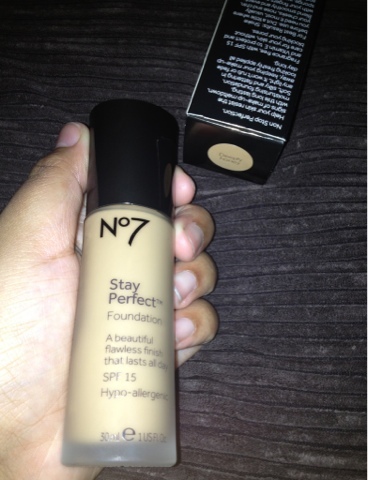 I got NO7 stay perfect medium coverage natural finish in 'Deeply honey' I tried it the other day in my local store but went to a bigger store today with a few girls from my college and got the skin colour testing. It come back that I was deeply honey and the lady tried it with my skin and all the girls were amazed how it blended so well. I am really looking forward to testing this out and reviewing it. So far it is well worth the money!! OO! Can't wait to hear your review of it!